Soft Cover; 8.5" x 9.5" format; 224 pages. Superb standard of painting and weathering; bright and large photos; useful and detailed captions and text; includes six excellent step-by-step tutorials for finishing modern armour subjects. 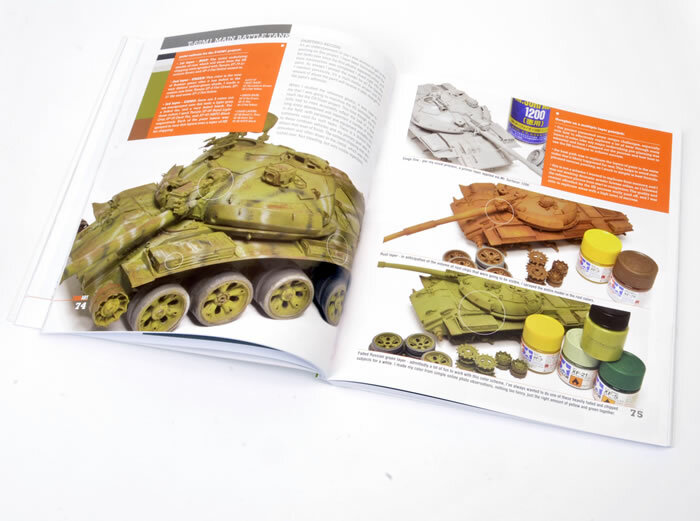 Tank Art 3 – Modern Armor is a fantastic guide to painting and weathering the Rinaldi way. The techniques are extensive, the subjects widely varied, the photography and presentation first rate and the text ably supports the images. If you are looking for a step-by-step guide to obtaining high quality modern vehicle painting and weathering finishes, this really is the ideal one-stop manual. 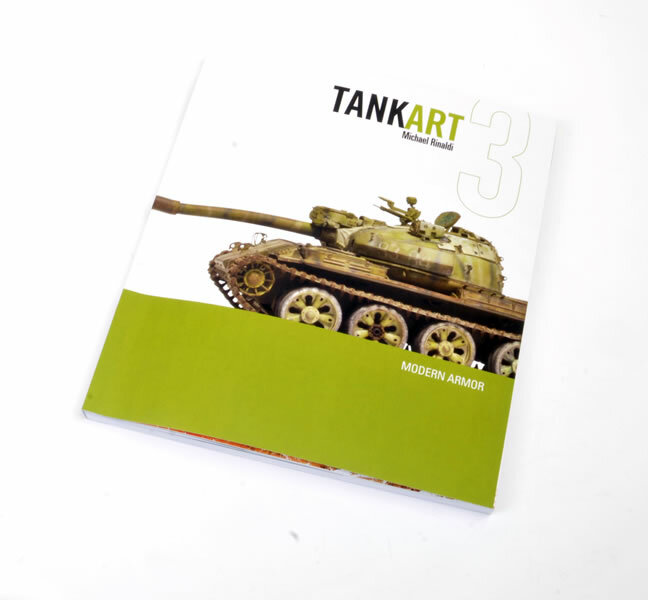 Last year, Mike released the first two publications from his Rinaldi Studio Press imprint, Tank Art 1 – WWII German Armor and Tank Art 2 - WWII Allied Armor. Now it is the turn of the Abrams, T-72 and Merkava in Tank Art 3 - Modern Armor. 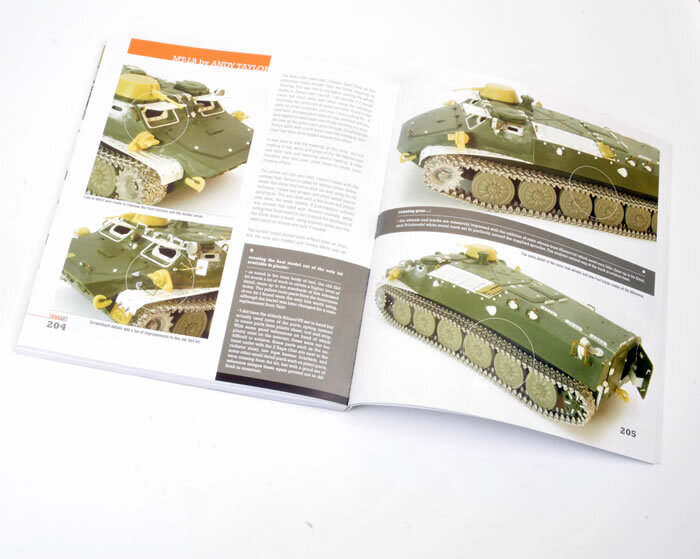 In common with the first two titles in the series, this book succeeds as a step-by-step painting and weathering guide for modellers. The hefty volume is presented in a squarish format and is printed on 224 pages of glossy, high-grade paper between its soft covers. The contents are broken down logically, commencing with Products and Materials before moving on to three Chapters discussing specific techniques - Weathering Principles; Combining Hairspray and Oil Paint Rendering, and Pigment Application. These sections introduce new and modified applications of these essential techniques. 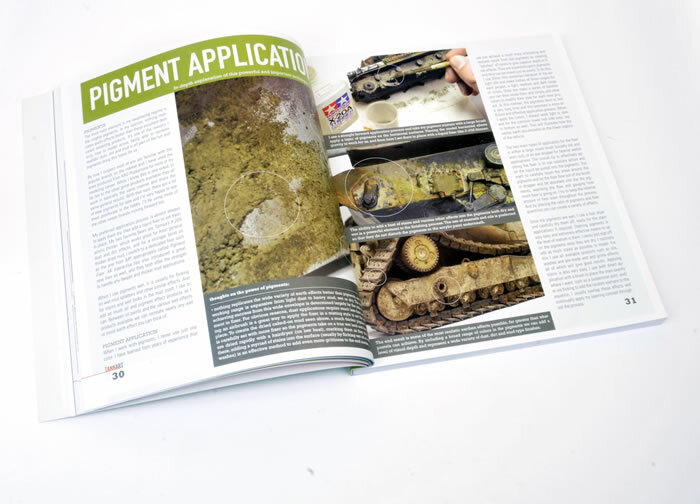 The bulk of the book is dedicated to six master class examples of painting and weathering. Mike uses five models as the blank canvas to demonstrate his wide range of techniques: A Meng Model D9R Armored Dozer, T-62M1. AMX-30B, FV221 Caernarvon and a T-72B Model 1989. Andy Taylor also delivers a Chapter on his techniques applied to a 1./35 scale MTLB. 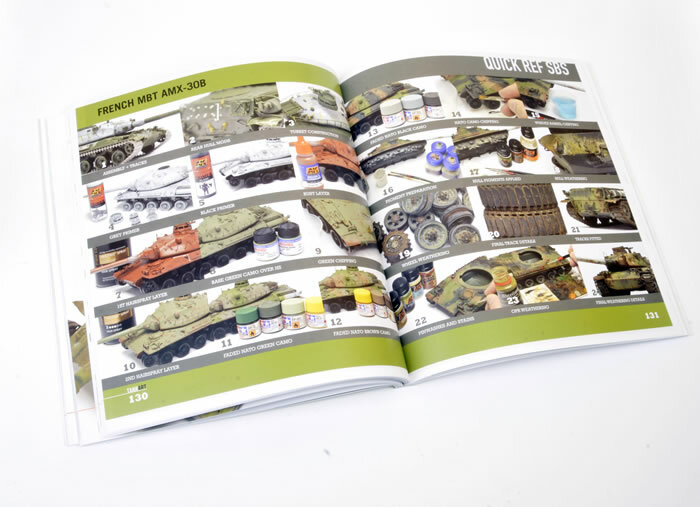 Tank Art 3 – Modern Armor is a fantastic guide to painting and weathering the Rinaldi way. The techniques are extensive, the photography, presentation first rate and the text ably supports the images. 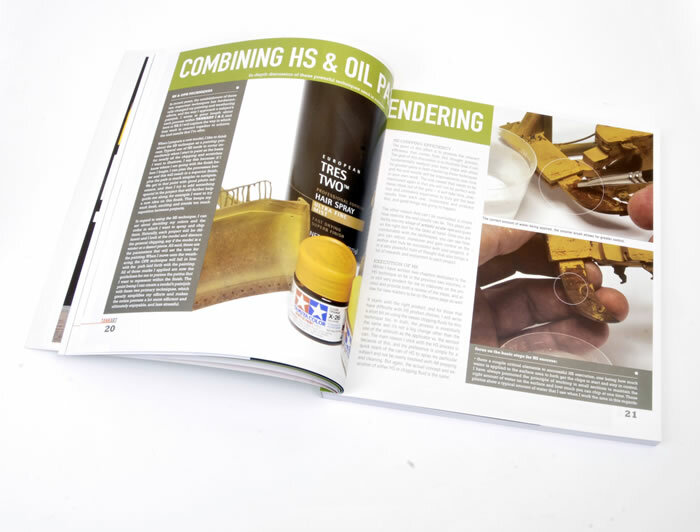 If you are looking for a step-by-step guide to obtaining high quality painting and weathering finishes for modern vehicle subjects, this really is the ideal one-stop manual.